A legacy that began way back in 1984, adidas’ iconic ZX series channelled the brand’s years of sporting know-how into a line of premium performance trainers. The legendary lineage has produced a host of supportive runners which have been innovatively designed to assist runners with any troubling issues they might be experiencing – such as pronation and supination. 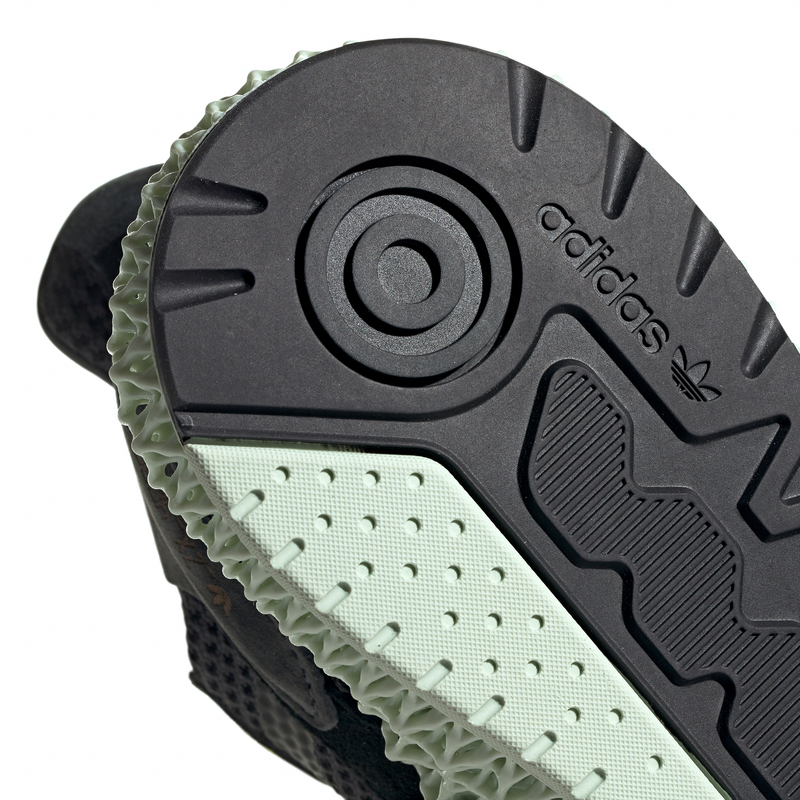 This season the series is propelled into the future with the arrival of the highly-technical ZX 4000 4D Runner. 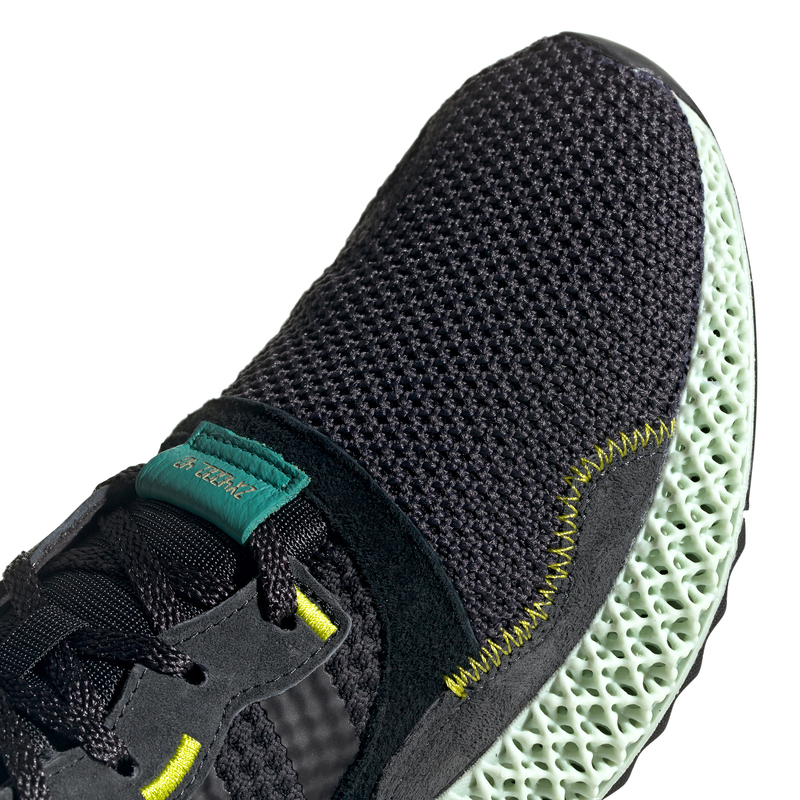 A technical innovation like no other, the silhouette’s data-driven 4D Futurecraft midsole was constructed using a breakthrough digital printing process that transforms liquids into solids – producing the world’s first high-performance midsole made from light, liquid resin and oxygen. Its single component design is precisely tuned for controlled energy return, meaning the energy exerted from each of your steps is transferred into your next stride. Up top, the technical aesthetic continues. A Primeknit upper hugs to the contours of your feet for a comfortable, sock-like feel. Supportive supple suede overlays offer a multi-textured finish and hark back to styles of the past, while welded TPU three stripes delivers the runner with ultramodern detailing. Flashes of colour arrive with ‘Semi Solar Yellow’ accents to the eyestays and exposed zig-zag stitching, delivering a stark contrast from the pair’s dark ‘Carbon’ base. Signing things off in signature adidas style, the model’s namesake is embellished onto the medial sidewall panelling and along the leather tongue eyelet. 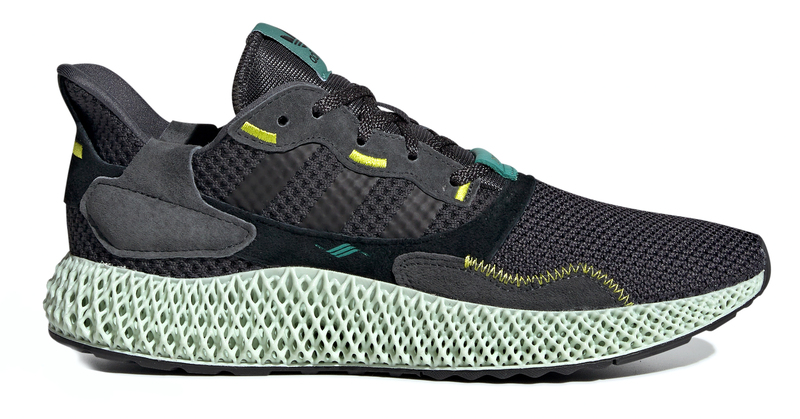 The adidas Originals ZX 4000 4D ‘Carbon / Semi Solar Yellow’ will be available on Saturday 6th April via the size? previews app and in selected size? stores, priced at £280.